VEND Market Place – The Big Place for Small Vendors. Amy Hinschen dreamed of creating a platform for local designers and creatives to have the benefits of their own store, without the huge financial overheads. 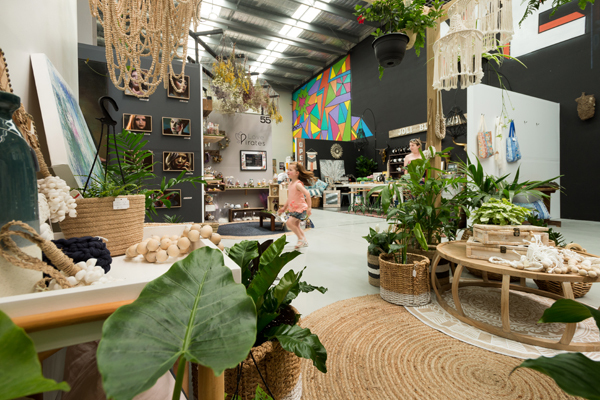 After seeing permanent markets set up in New York, Amy decided to bring the concept to Brisbane, and VEND Market Place in Virginia was created. VEND is a permanent indoor market location for local designers and artists to showcase their items without having to be present full-time. VEND Sales Assistants are on hand to assist shoppers with questions and purchases. VEND is open 7 days a week from 9am – 5pm with a café located inside. Fresh food markets, food trucks, kids activities and live music are planned for weekends.